At RCJ Machado Jiu-Jitsu, we are proud to help students across The Colony, Lewisville, and beyond stay active and build life skills for any situation. Our Kids Martial Arts classes introduce students of all ages to the skills and values of Brazilian Jiu-Jitsu, Wrestling, Kickboxing, and Judo! There's no better way to boost your child's mental and physical foundations. Learn more or get started today! At RCJ Machado Jiu-Jitsu, you don't need to be an experienced martial artist to succeed. In fact, you don't need any experience at all! Our Kids Martial Arts classes are perfect for beginners and advanced students alike, offering scalable movements and hands-on instruction every step of the way. And With Our Classes In The Colony, Your Child Can Prepare For Whatever Life Throws Their Way! Many of our students love the skills and techniques of BJJ and martial arts training the most. But in our Kids Martial Arts program, we offer so much more than just the physical tools of self-defense. Our Kids Martial Arts Classes are built on a foundation of respect, discipline, and self-confidence. With our team in The Colony, your child will be surrounded by positive role models and supported through every step of the learning process. Give Your Child A Boost Today With The Best Kids Martial Arts Classes In The Colony! Don't miss out on all the exciting things we have going on here at RCJ Machado Jiu-Jitsu. We're helping students across The Colony and Lewisville develop valuable tools for all aspects of life. 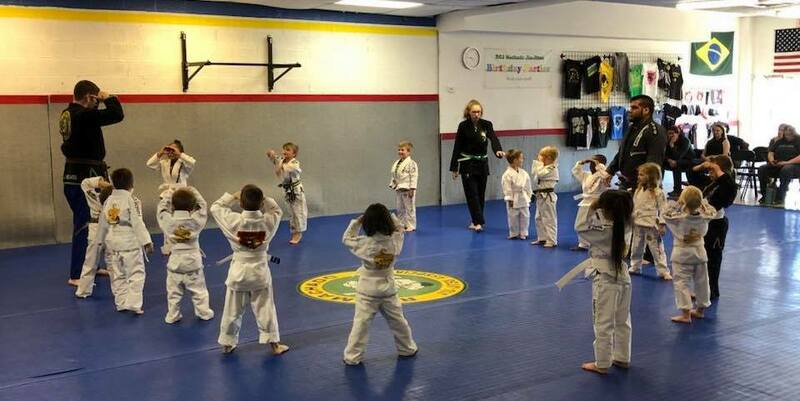 Learn more about our Kids Martial Arts Classes or reserve your spot today! Just fill out the short form on your screen to get started!